Our all-natural, oven-baked sandwich dog cookies are made with dog-healthy carob. 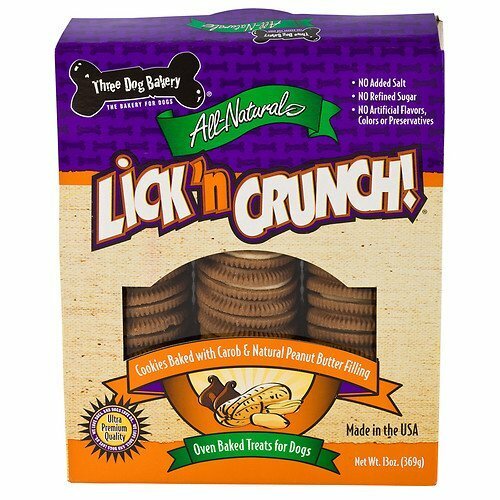 Then, we fill them with nutty peanut butter middles that will get your pup to howl in delight. If you have any questions about this product by Three Dog Bakery, contact us by completing and submitting the form below. If you are looking for a specif part number, please include it with your message.